One of the great delights of historical fiction is that you can transport yourself into the past. Both as a reader and a writer, I love the feeling of being immersed in another reality, which is vivid and believable. But there is a downside to this: it can be tempting to overload your narrative with period detail. My inspirations are Sarah Waters, who pays just as much attention to the intricacy of plot as she does to historical accuracy, and Hilary Mantel, who uses a hybrid of fact and imagination to convey the experience of Thomas Cromwell. ‘Dark Aemilia’ was written as part of my PhD thesis. It’s the story of the doomed relationship between William Shakespeare and Aemilia Lanyer, one of the first female poets published in England and (possibly) the mysterious Dark Lady who inspired the later sonnets. I spent many months researching the historic setting, but also studied genre and narrative form, and looked at the way that character can drive plot as well as the seminal work of writers like Umberto Eco. I wanted to create a strong female protagonist in a world in which women officially had no power. This was quite a conundrum, and I was influenced by the views of the writer and historian Ian Mortimer who warns against imposing 21st century psychology onto characters from the past. I struck a compromise with this – I am sure that no Early Modern woman would really have thought like ‘my’ Aemilia, any more than they would have spoken as she does. But I did make her deeply superstitious, and her world view is informed by this. I also used the play ‘Macbeth’ as a template for the story, so that elements of its dark plot are woven into Aemilia’s experience. London, 1593. The daughter of a Venetian musician but orphaned as a young girl, Aemilia Bassano grows up in the court of Elizabeth I, becoming the Queen’s favourite. She absorbs a love of poetry and learning, maturing into a striking young woman with a sharp mind and a quick tongue. Now brilliant, beautiful and highly educated, she becomes mistress of Lord Hunsdon, the Lord Chamberlain and Queen’s cousin. But her position is precarious; when she falls in love with court playwright William Shakespeare, her fortunes change irrevocably. A must-read for fans of Tracy Chevalier (Girl With a Pearl Earring) and Sarah Dunant (The Birth of Venus), Sally O’Reilly’s richly atmospheric novel compellingly re-imagines the struggles for power, recognition and survival in the brutal world of Elizabethan London. 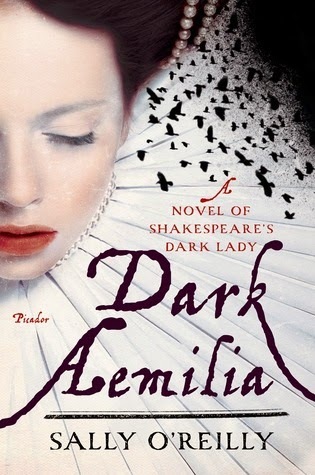 Dark Aemilia is published by Myriad Editions in March 2014, and by Picador US in June. Sally O’Reilly has a PhD in English and Creative Writing from Brunel University, and is a lecturer at the Open University. She is the author of How to be a Writer and (as Sam O’Reilly) two novels published by Penguin, The Best Possible Taste and You Spin Me Round. 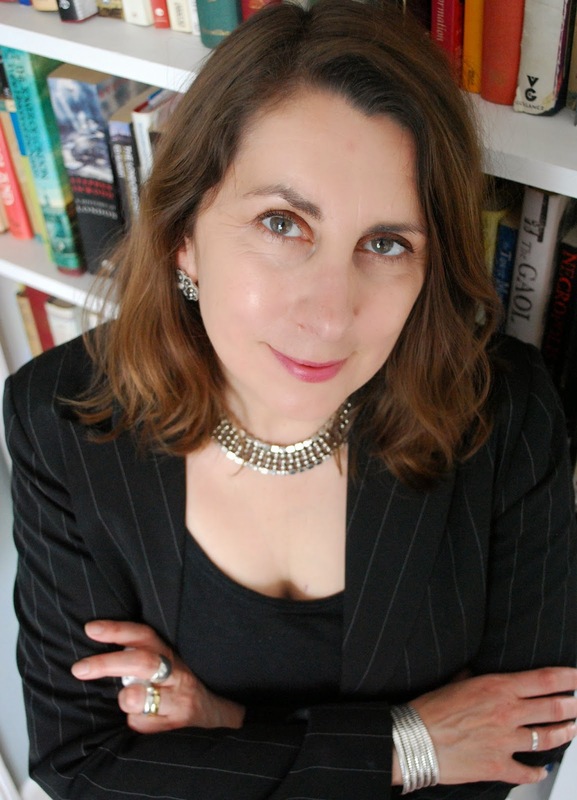 She has also been shortlisted for the Ian St James short story award and the Cosmopolitan short story prize, and is a former Cosmopolitan New Journalist of the Year. Richard Neville, Earl of Warwick, the 'Kingmaker', is the wealthiest noble in England. He becomes a warrior knight, bravely protecting the north against invasion by the Scots. A key figure in what have become known as ‘the Wars of the Roses,’ he fought in most of the important battles. As Captain of Calais, he turns privateer, daring to take on the might of the Spanish fleet and becoming Admiral of England. The friend of kings, he is the sworn enemy of Queen Margaret of Anjou. Then, in an amazing change of heart, why does he risk everything to fight for her cause? How much do you really know about King Edward IV? If, like me, you were intrigued to find out more about the strangely two dimensional husband of the BBC’s ‘White Queen,’ then David Santiuste’s book is a great place to start. Fast paced and well researched, this book challenges the established views of Edward Plantagenet. New perspectives are offered by setting the generally accepted accounts of chroniclers firmly in the context of their time. Everything his predecessor Henry VI had failed to be, Edward was over six foot tall and charismatic, a true warrior knight. He is often portrayed as a womaniser, manipulated by others, yet David reminds us that many of the criticisms of him can be traced to his young brother, Richard III. 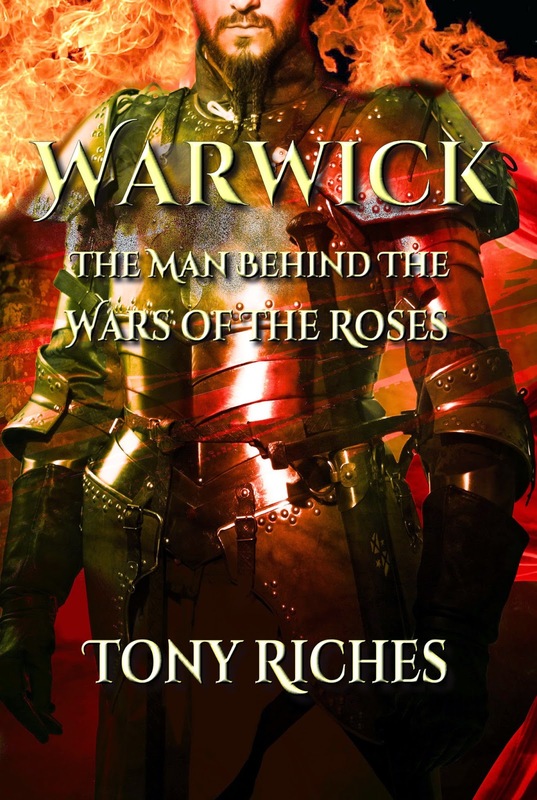 I was particularly interested in his complex relationship with the Earl of Warwick which was so central to any understanding of the Wars of the Roses. His marriage to Elizabeth Woodville is typical of Edward’s very modern way of doing things. There is no mystery - he married for love, fully aware of the consequences. Now being described as one of the most successful medieval kings, Edward IV saw the wisdom of appointing people on merit and, after the Wars of the Roses, presided over twelve years of peace and prosperity. I highly recommend Edward IV and the Wars of the Roses to anyone who would like to understand more about this enigmatic king and this fascinating period of English history. 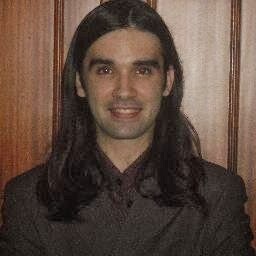 David Santiuste is a historian of medieval England and Scotland. 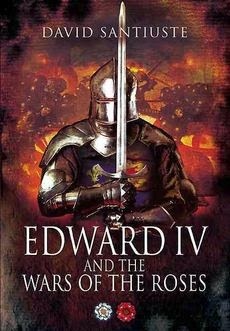 Edward IV and the Wars of the Roses is his first book. Other publications include contributions to 'Medieval Sexuality: A Casebook' and 'Medieval Warfare'. David's interest in history was first inspired as a child, visiting castles and battlefields with his family. He went on to study at the University of St Andrews, earning a master’s degree with distinction. 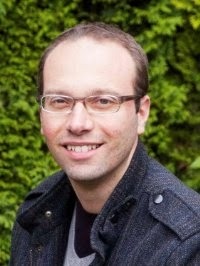 He currently teaches history at the Office of Lifelong Learning, University of Edinburgh.. David is the creator, with Rae Tan, of the website 'Reflections of the Yorkist Realm' (www.yorkistrealm.com). This is a project devoted to the history and heritage of Yorkist England, featuring a selection of Rae's photographs with complementary text. 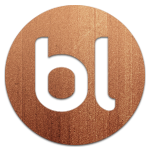 There are so many new books published every day, your best work can languish unnoticed - unless you can help it stand out in some way. 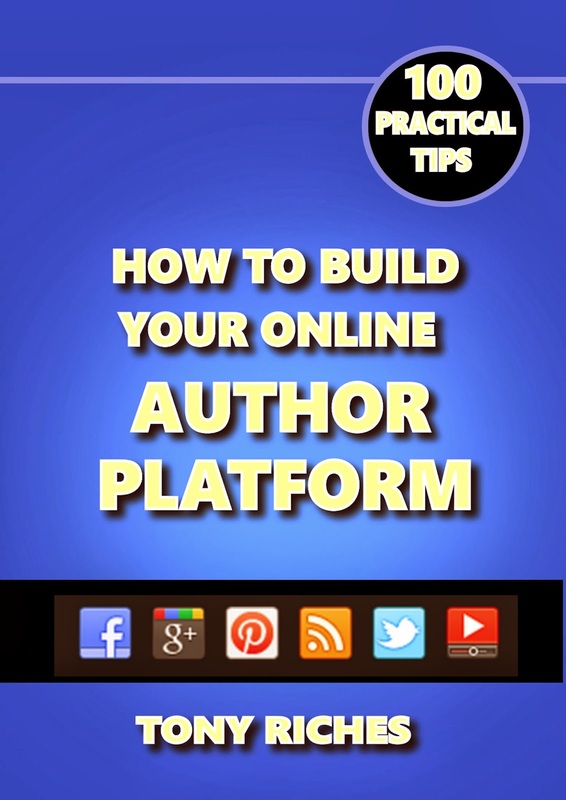 On-line platform building is not about self-promotion, it is a long term ‘organic’ process and different for every author. All authors also need to find the right balance between writing and raising awareness of their work. 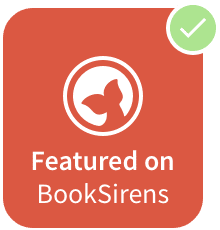 The rise of social media and free online book publicity sites mean this has never been easier. The problem is that there is increased competition from other authors who have learned to use on-line tools more effectively. It can be a steep learning curve, so the 100 practical tips here will help save you precious writing time and suggest ideas. 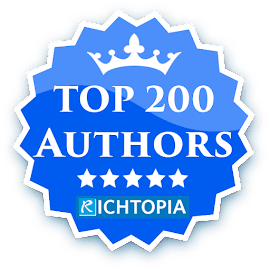 Based on four years of successful experience, each of the main social media platforms are considered in turn, with ten ‘top tips’ for each, rounding off with a chapter on free book promotion websites. No specific knowledge is assumed and useful links are provided to further information. I remember discovering John Steinbeck’s work as a teenager. He redefined what I expect from a novel, evoking the lives of ordinary people in a way no film version ever can. Deserved winner of the Pulitzer Prize for The Grapes of Wrath and the Nobel Prize for Literature, he will always be one of my favourite writers. His original choice of pencil was a Mongol 2 3/8 F which he described as ‘quite black and holds its point well.’ Steinbeck would keep dozens of them in his pencil tray and sharpen them all with his electric pencil sharpener while he waited for inspiration to come. He insisted that his pencils must be round, as a hexagonal pencil hurt his fingers after holding it for up to six hours a day. He later progressed to a special type of pencil, the ‘Blackwing 602’. Now discontinued, it was advertised as the best pencil ever made and had wax added to the lead, so it required less effort to write with. When ideas did come to him, Steinbeck would write as rapidly as possible and had a rule never to revise or rewrite it until the whole ideas was captured on paper. He once said ‘Rewriting as a process is usually found to be an excuse for not going on.’ He firmly believed that writing a page a day was good progress, even if he took all day. 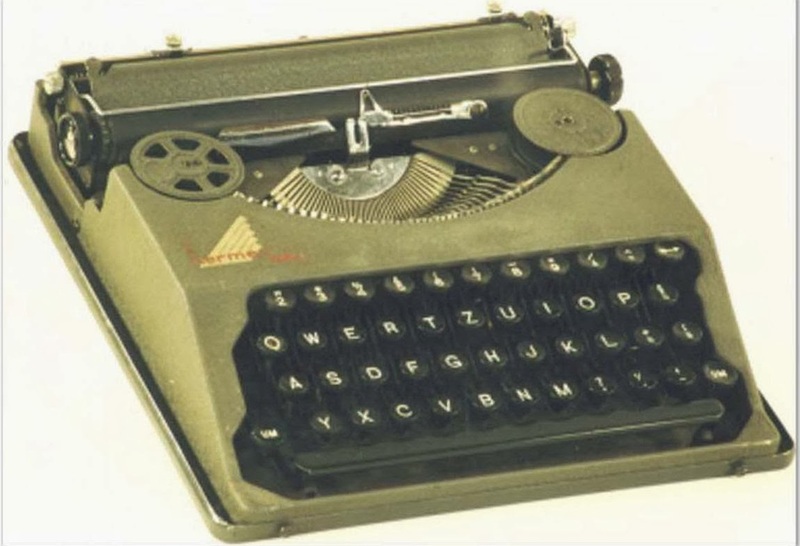 Steinbeck liked to type up his manuscripts with an olive green ‘Hermes Baby’, one of the first portable typewriters. Less than 40cm high and 10cm wide, the Hermes Baby was way ahead of its time. Steinbeck bought it in Geneva when he was on an assignment for Colliers Magazine and couldn’t find a typist. He carried it with him on his travels and scratched the words ‘The Beast Within’ on its cover. Steinbeck’s ‘Baby’ was eventually donated by his son to the San Jose University Steinbeck Centre, where it can be seen today. Interestingly, Steinbeck's breakthrough novel, Tortilla Flat, was rejected numerous times before being accepted by New York publisher Pascal Covici and going on to win the Gold Medal of the Commonwealth Club of San Francisco as the year's best novel by a Californian. 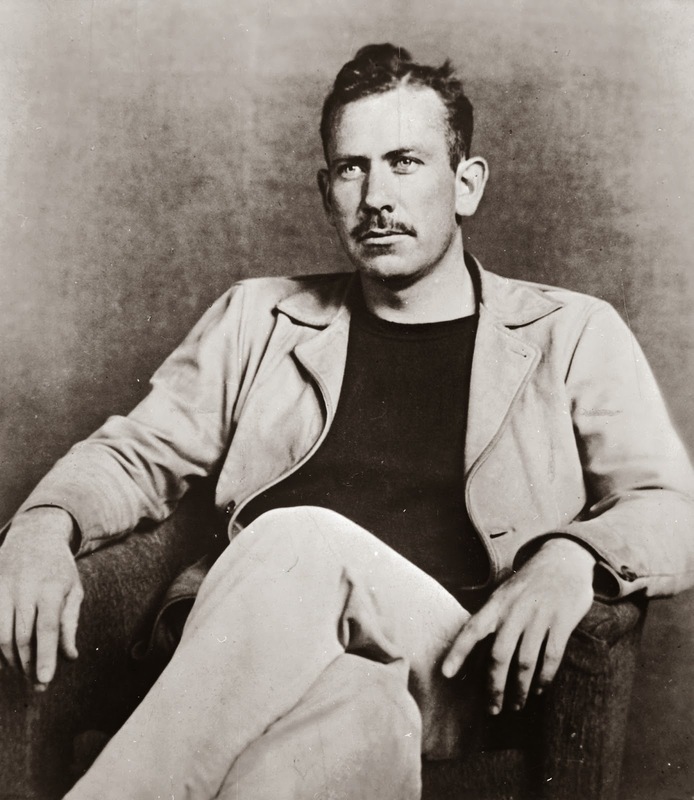 Sadly Steinbeck's father died just before his critical success and never knew his son would become one of America’s best known and most successful writers. In the immediate aftermath of the Great War, the Baltic became a highly contested territory between those who sought independence, the imperialistic old guard, and the new Bolshevism which threatened to consume all before it. Into this frenzy of civil war poured the German Freikorps with its own agenda, though some viewed it as a liberating force. 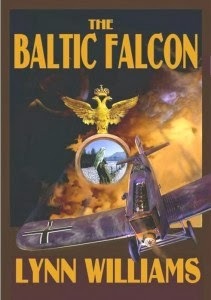 Within its ranks were mercenaries, like Kessler, and secret patriots like Steiger, both of whom contribute to the narrative of The Baltic Falcon, which is more than just a novel of their time. This gripping account of the impact of the Great War and the Russian Revolution on individuals and families close to the action leads to the search for answers in the fractured memory of the main protagonist and his alter ego in the present day of military threats, terrorism and recent events in Ukraine. Your son or your queen - what price can Elizabeth demand for loyalty? 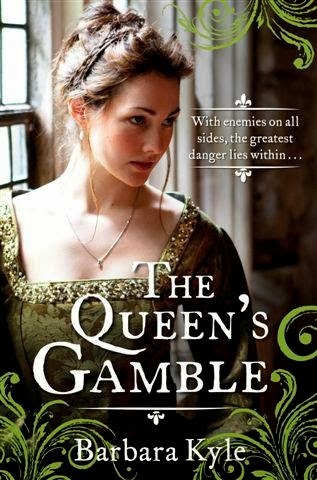 Young Elizabeth I's path to the throne has been a perilous one, and already she faces a dangerous crisis. French troops have landed in Scotland to quell a rebel Protestant army and Elizabeth fears that once entrenched on the border, they will invade England. It was the 6th of November 1939. The fog still blanketed Requejado. It was so intense that you could barely see anything. Among the aspens, some shadows could be seen, which could be the spirits who inhabited that same place not so long ago. They were still there, trying to find the hopeful light they saw, but they ignored it since they opted to continue fighting for their beliefs. The temperature lowered as you got into the heart of the forest, grief and feelings for deception could be felt there; a kind of bitterness, which unfortunately would be eternal. In his first novel, Spanish author Pablo Solares Acebal deals with themes of love and life, death and dreams. Lyrical and occasionally poetic, this book is hauntingly atmospheric, reminiscent of intriguing overheard conversations. Set in the village of Requejado in northern Spain, we start to explore the lives of people searching for meaning and struggling to cope with the implications of the past. Religion and class distinctions run like a thread through the book, which challenges novel writing conventions, raising unanswered questions in the mind of the reader and unresolved issues that leave you wanting more. The Spanish edition was released in Spain and in selected South-American countries two years ago. I was fortunate to have an advance copy of the English language translation, to be published on March 9, 2014 in the UK and Austrailia and May 6, 2014 in the U.S. In the meantime, a Spanish edition is available on Amazon. 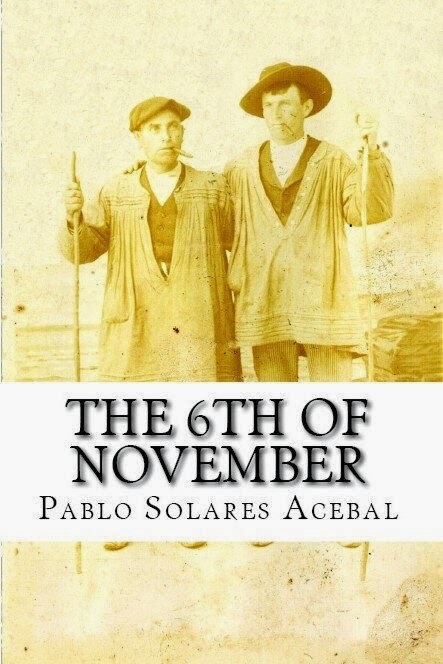 Pablo Solares Acebal is currently working with director Daniel Cabrero in a film adaptation of The 6th of November. Set amid the twisting streets and sunlit piazzas of medieval Italy, The Towers of Tuscany tells the story of a woman who dares to follow her own path in the all-male domain of the painter’s workshop. Sofia Barducci is born into a world where a woman is only as good as the man who cares for her, but she still claims the right to make her own mistakes. Trained in secret by her father to create the beautifully-crafted panels and altarpieces acclaimed today as masterpieces of late medieval art, Sofia’s desire for freedom from her father’s workshop leads her to betray her passion and sink into a life of loveless drudgery with a husband who despises her when she does not produce a son. I never expected to launch a career as a writer of historical fiction. Fiction, yes. Historical fiction? Well . . . It’s true that I love history and I’ve certainly been known to pick up novels set in the past (most novels are when you come to think about it! ), but surely to write historical fiction, I must need a Ph.D. and an office filled from floor to ceiling with musty tomes that I’d actually read. It turns out that all I really needed was a spark and I found that spark one day while thinking about San Gimignano, a hill town in Italy that includes at least thirteen medieval towers and commanding views of the iconic Tuscan landscape. During its heyday in the fourteenth century, San Gimignano had over 70 towers. Why was I thinking about San Gimignano? I had visited the town a few times over the past two decades (I also love traveling) and I had fond memories of it. Why it popped into my head one day while I was trying to come up with a subject for a novel is anyone’s guess. But what happened was that I got to wondering how the town of San Gimignano had looked with 70 towers crammed into the same space as the town occupies today. Had a painter from the period actually depicted them? The answer is no, so far as we know. Landscape painting was in its infancy in the 14th century and highly stylized. I decided to invent a painter who departed from the usual religious iconography and painted a view of the towers of San Gimignano in the style of the time. My painter is a woman because I was also intrigued by the possibility that women must have painted in medieval times, even if they did not become known. Medieval painting was a family affair, so after consulting with experts in medieval art, I concluded that it was plausible that a painter could have trained his wife or daughter in the painter’s craft. And then I got a sign that my novel was destined to be written. While surfing the Web for sites on Tuscany, I stumbled upon the website for San Gimignano 1300, a museum in San Gimignano that includes a large scale model of how the town appeared in the year 1300. I couldn’t believe it! Two artists had painstakingly recreated the city complete with all seventy of its towers. As soon as I could, I caught a plane to Rome, the train to Florence, and the bus to San Gimignano. My morning spent at San Gimignano 1300 was one of the most productive of my writing career to date. Over the next year, I immersed myself in the fascinating history of the period. It turns out that I already had the main pre-requisites for an author of historical fiction—I was curious and I could read. I also have a graduate degree in Drama with a major in History so I guess I’m not totally devoid of background, but I learned early on that researching a period to add flavor and verisimilitude to a work of fiction is not nearly as onerous (or dull) as academic research. I could pick and choose what I needed to include and I had experts to call on when I got stuck. I carefully avoided including “info dumps” in my novel and only snuck in the results of my research when needed for the story. I’m now hooked on writing historical fiction. The Towers of Tuscany is my first historical novel with an “arts twist.” I have dipped my toe in most of the arts over the years and my goal is to combine my love of the arts with my love of history to produce novels that celebrate an individual’s journey with his or her art during a particular era. My next novel, tentatively titled “Nocturnes” tells the story of a concert pianist in Vienna in the 1820s—shortly after the death of Beethoven and during the last year of Schubert’s life. I plan to release that novel in the fall of 2014. And the next one is about an actress embroiled in the “Old Price” riots of 1809 in Covent Garden Theatre in London. History and the arts are full of great stories! A sequel to The Towers of Tuscany is also not out of the question. 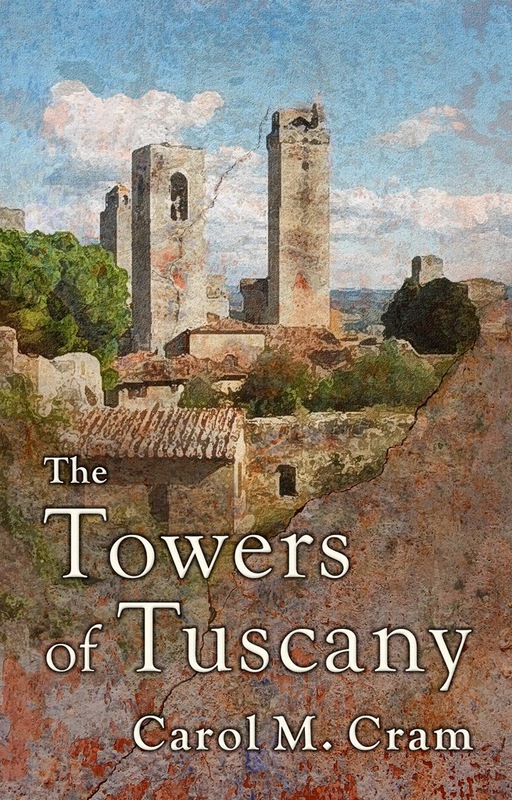 The Towers of Tuscany is appealing to people who are fascinated by fourteenth century Italy and by Tuscany, particularly the towns of San Gimignano and Siena, where the action of the novel takes place. Readers interested in the glorious art of the period and in workings of a medieval painter’s workshop are also enjoying the novel. For an author, nothing beats knowing that someone who does not even know you has read your work and enjoyed it. 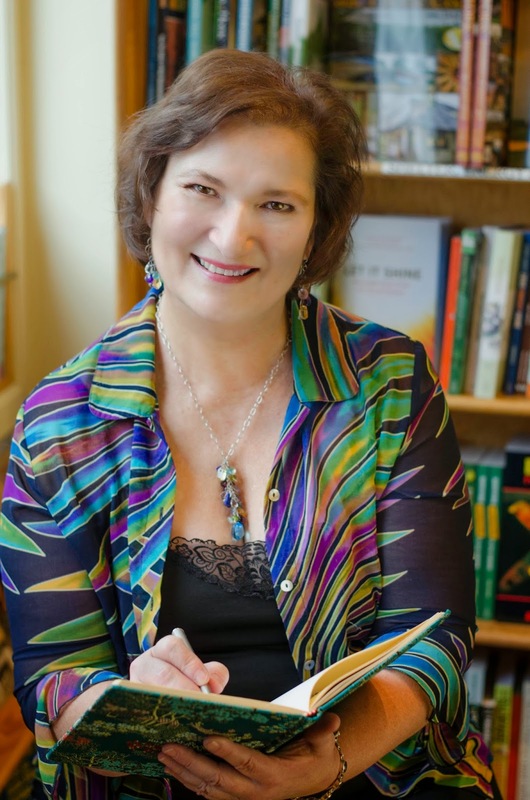 Carol M. Cram has enjoyed a wonderful career as an educator, teaching at Capilano University in North Vancouver for over twenty years and authoring forty-plus bestselling textbooks on business communications and software applications for Cengage Learning. She holds an MA in Drama from the University of Toronto and an MBA from Heriot-Watt University in Edinburgh, Scotland. Carol is currently focusing as much of her attention as she can spare between walks in the woods on writing historical novels with an arts twist. She and her husband, painter Gregg Simpson, share a life on beautiful Bowen Island near Vancouver, Canada, where Carol is also very active in the local arts council. Visit her online at www.carolcram.com and find Carol on Twitter @carolcram.